Thank you Nathan Allison for this blog as part of our ongoing “Disciplines and Maritime Studies” series. Nathan Allison is currently PhD ABD in History at the University of Idaho with a focus in Historical Archaeology. In addition to his doctoral work, he also serves as adjunct faculty for the Department of History at UI where he teaches courses in early American history and the history of crime and punishment. His interests focus on the long eighteenth-century Atlantic world. His dissertation research explores public space in colonial port cities, particularly Charleston, South Carolina. He has an undergraduate degree from Metropolitan State University of Denver in History and Anthropology and, a master’s degree in European and Atlantic World History and graduate certificate work in GISci from Eastern Illinois University. He also has strong interests in online learning and teaching pedagogy, digital history, conflict archaeology, and how GISci and spatial theory can help analyze subjects in new ways. 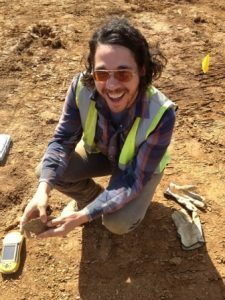 Prior to his PhD work, Nathan lived in Nashville, Tennessee where he worked as an archaeologist at a cultural resource management firm. I am PhD ABD at University of Idaho where I also serve as adjunct faculty of History. I regularly teach courses in early American and Atlantic World history. 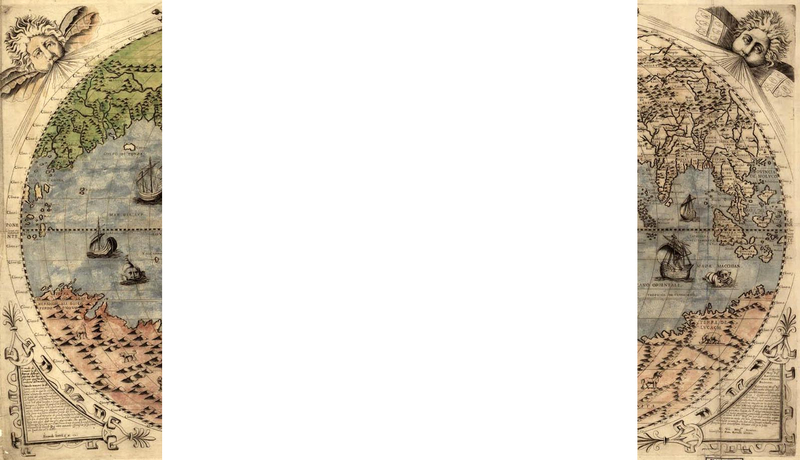 My research interests are in the long eighteenth-century Atlantic World. I pay particular attention to the role and development of public space in colonial port cities with an eye on what materiality can tell us about the rise of the public sphere. I take an interdisciplinary approach to my work using frameworks from often diverse fields in the humanities and sciences. One in particular has been how Geographic Information Sciences (GISci) introduces powerful spatial and temporal analytical tools not often employed by historians. GISci gives historians the opportunity to witness relationships over space and time from often flat data to pose new research questions. For Atlantic historians GISci is particularly useful then in helping demonstrate the fluidity of the Atlantic World and how ideas, goods, and people were connected. Exemplary of the type of interdisciplinary utilization and power of GIS as analytical tool is my previous work on the Black Mariner Database (“BMD”). An ongoing project developed by Dr. Charles R. Foy of Eastern Illinois University, the BMD is a collection of over 27,000 black mariner and black maritime fugitives in the eighteenth-century Atlantic World. From the thousands of records mined for evidence on these black mariners the BMD does not only include pertinent data like age, race, marital status, and careers related to these individual seamen. By also employing the analytical tools of ESRI ArcGIS, the BMD also allows researchers the ability to map the physical journeys of eighteenth-century black mariners and black maritime fugitives across space and time on voyages throughout the Atlantic. As such, it is a powerful resource for those researching the often-unheard stories lost in the minutia of the past and give great insight into the little-known movement and experiences of black seamen. In order to map the voyages of black seamen a connection between two disparate operating systems needed to be created. Via a unique Black Mariner ID value which could maintain a common relationship between fields in the original BMD records in File Maker Pro and the Geodatabase in ArcGIS respectively, a link could be established. This would ensure that the Geodatabase was accessing the appropriate mariner’s records in File Maker Pro by finding its corelating Black Mariner ID value when mapping it. Problematic was the effort to locate and georeference thousands of eighteenth-century geographic place names which existed in the records of these seamen. Not all place names have been maintained throughout the early modern period into the present. Over the passing centuries differences in place names of Atlantic ports can be attributed to many reasons. These differences range from political, local vernaculars, and spelling errors in the records. The Getty Thesaurus of Geographic Names was used to identify the correct place names and their geographic coordinates for the various ports across the Atlantic listed in the seamen’s records. Once accurate geographic coordinates were listed in the ArcGIS BMD Geodatabase ports could be represented as visual points on a map. The Black Mariner Database is demonstrative of the power of utilizing interdisciplinary tools. By employing geospatial analysis the BMD is able to illustrate the movement of eighteenth-century black mariners and black fugitive mariners throughout the Atlantic World. This is a powerful visualization. As Figure 1 illustrates, the BMD effectively demonstrates the mobility of marginalized and often unheard voices. Realizing the degree at which these mariners accessed different locales embodies a whole new range of questions about the interconnectedness of the early modern period that researchers can now pose. Further, using GISci opened an analytic framework that can be employed to explore past the limits of what we once found to be static data. This PDF contains further information about this project. Are you including Blacks in the Royal Navy? The British mercantile marine?